Asbestos is most commonly found in the construction industry, and used as plasters, roofs, or adhesives. Asbestos can also be found in some fireproof items, insulators, and some types of fabric. This material is affordable, resistant, and relatively strong. Asbestos has been used for thousands of years, but it wasn’t until the 20th century that the health risks of asbestos were identified. Asbestos becomes a potential risk to health if fibres are suspended in air and breathed into the lungs. Breathing asbestos fibres into the lungs can cause a range of diseases, including mesothelioma, lung cancer and asbestosis. Nowadays, many countries frown upon the use of asbestos and the use of the material has declined. True or false? 8 things that people believe about asbestos. Asbestos is a potential health risk. Asbestos has been in the spotlight for a long time, leading to some myths about the material. Which among these are true? Here are 8 things that people believe about asbestos, and whether they are accurate or not. What people believe: Being exposed to asbestos is acceptable if inhalation does not happen for a long period of time. The truth: Long and short-term exposure to asbestos both pose health risks. While it is true that long-term exposure is much riskier, even short-term exposure can have some effects on your health. Short-term exposure to a low amount of asbestos carries less risk, but imagine being exposed to a large amount even for just a few minutes. This can still lead to damage to your lungs. Generally, the risk factors to consider are the length of exposure and the amount of fibres inhaled. The larger number for both, the more at risk. This still doesn’t mean that inhaling asbestos fibres is okay! What people believe: It’s perfectly okay to inhale asbestos in low amounts. The truth: Asbestos fibres, when inhaled, have a risk of causing damage to the lungs. Again, the higher the amount inhaled, the more damage that can be inflicted. Even in small doses, the fibres can still potentially cause diseases. Scientists say that being exposed to low levels of asbestos fibres a few times only has a negligible risk of causing disease. Still, it wouldn’t hurt to be more careful. Inhaling low amounts of fibres still means that they go to the lungs, and the lungs are the last place you would want asbestos to be. What people believe: The lungs are the only parts of the body at risk when it comes to asbestos exposure. 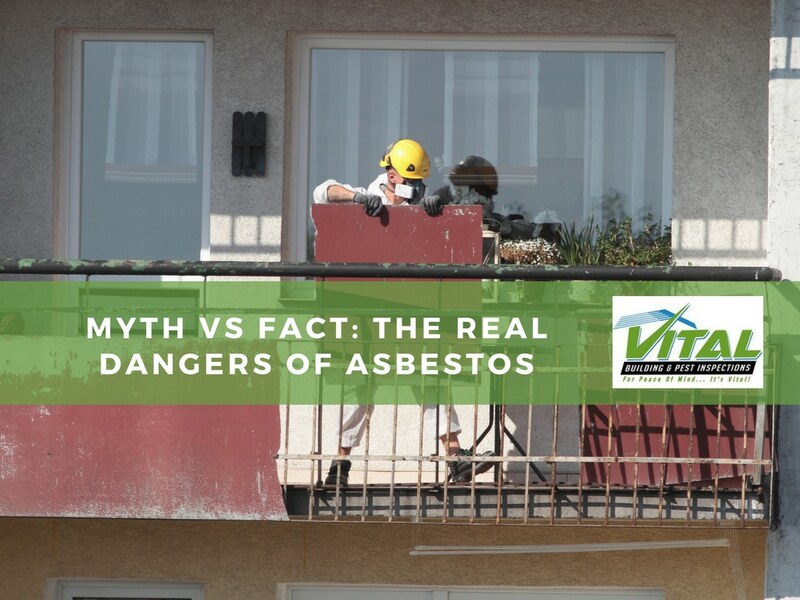 The truth: While it is true that the lungs are probably the most at risk of getting disease after asbestos exposure, they’re not the only ones affected. Studies have shown that asbestos exposure can also lead to skin conditions and other diseases. Most of the studies involving asbestos focus on the lungs. These are some of the most common, but other surveys have also proven that other body parts could be affected. What people believe: Items with asbestos are relatively safe to use if they are in good condition. The truth: Asbestos fibres are most dangerous when inhaled. Some fibres can also lodge themselves into the skin, which can lead to skin conditions. These usually happen when the fibres are released from the material they are found in, and usually as a result of damage. If the item is in good condition, then the fibres will not go airborne. This means that you won’t risk inhaling these fibres. Once the item gets damaged, then it’s time to replace it. What people believe: The many types of asbestos all pose the same health risk. The truth: There are many types of asbestos, and they’re usually named after their colour. Some of the most commonly used are white asbestos (chrysotile), brown asbestos (amosite), and blue asbestos (crocidolite). Some types of asbestos are safer than the others. White asbestos is one of these. This doesn’t mean, however, that they’re completely risk-free. Inhaling white asbestos fibres can still lead to disease. What people believe: Asbestos is banned everywhere. The truth: While it is true that asbestos use has fallen out of favour in many countries, some areas still have asbestos being used. Australia only banned asbestos in 2003, which means that some products manufactured before that year may contain asbestos. What people believe: Asbestos, if found in a building, must be immediately removed. The truth: Again, if the items are in good condition, then there’s not much risk. What you can do is to have a professional service assess the status of the asbestos. If there is a need for removal, however, make sure that you do not do it yourself. Asbestos fibres fly around the most when the items with asbestos are being removed. Contact a professional to do it for you. What people believe: Smokers are at more risk of getting sick after being exposed to asbestos. The truth: Studies show that among the many diseases that smokers are at risk for, lung cancer risk is much higher for people who are exposed to asbestos. 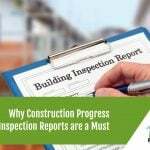 Do you need to have your building inspected for asbestos? As we’ve mentioned, asbestos is most dangerous when it’s flying around in the air. If you think that your building may have damaged materials that contain asbestos, then make sure you contact Vital Building & Pest Inspections. We will make sure to survey your building for any potential health risks. PreviousWhen Should I Be Worried About a Crack?